Having acquired a flotilla of six Kilo Improved diesel-electric attack submarines from the Russian naval industry, the Navy of the People’s Republic of Vietnam struck, on Thursday last (05.05), in the port city of Hài Phòng, the keel of its first search and rescue vessel. The ceremony, chaired by the Commander of the country’s naval force, Rear Admiral Phạm Hoài Nam, served, of course, the disclosure of a greater detail of the commissioned model, the MSSARS 9316. This project was first unveiled last January during the Vietship 2018 show in Hanoi and will now be built at the Vietnamese yard Z189, linked to the Ministry of National Defense. The Vietnam naval industry gained visibility in Southeast Asia about five years ago after forming a joint venture with the Damen Shipyard Group. 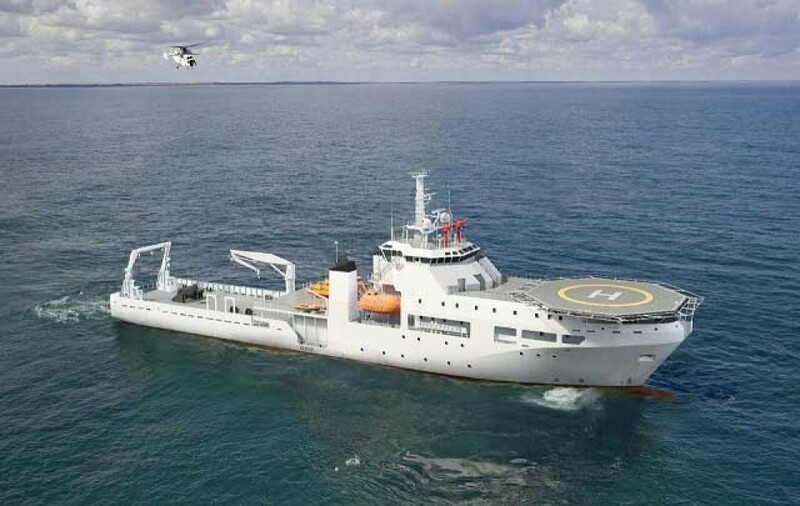 Listened to by the VietNamNews news portal , a representative of the Z189 plant revealed that the construction of MSSARS 9316 is expected to last 27 months and will build on the experience gained by the shipyard in the manufacture of two modern submarine relief vessels for the Royal Australian Navy: MV Besant – launched to the sea in October 2014 – and the MV Stoker – May 2015 – both 93.20 m long, 16 wide, 4,20 m draft and 2093 tonnes displacement. Beaufort force – The vessel designed for the Vietnamese Naval Force will be considerably larger than that of the Besant class: it will be 94 m long, 16 m wide and 5.85 m high. 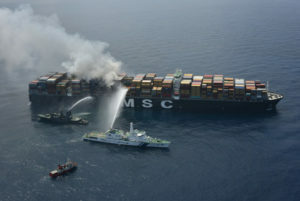 Its displacement is expected to reach 4,000 tons. The MSSARS9316 will feature a helipad in the bow, a decompression chamber, a “robust dynamic positioning system and several other features” (characteristics similar to those of an oil platform positioning boat), which will enable it to operate without great difficulties in adverse weather conditions , such as Beaufort force 9 winds (75-88km / h) and waves up to 14m (conditions that hinder the navigation of the largest line ships). In addition to its priority mission to operate as an underwater rescue vessel, MSSARS 9316 will also be able to carry out underwater surveys, mapping the submarine bed and operate as an oceanic research vessel. Australian ships of the Besant class carry an LR5 rescue (manned) mini-submarine, but there is no information if the Vietnamese vessel will be equipped with one of these submersibles. The Z189 yard official also omitted to provide information on the cost of building the lifeboat. Western sources estimate it to be around $ 200 million. Colombia – Another navy that plans to invest in a submarine rescue ship is Colombian. The government of Bogota should officially become an associate member of NATO in the coming week and, in this way, expand its participation in the routine work and multinational events of the Working Group and Rescue of Submarine Escape and Rescue Working Group. The Colombian Navy has four attack submarines, two Type 209 and two Type 206, and no rescue craft.